Earlier members from opposition parties also supported the Bills and sought their passage. New Delhi: Parliament on Wednesday passed two bills to repeal outdated 1053 old laws which had become redundant legislations. 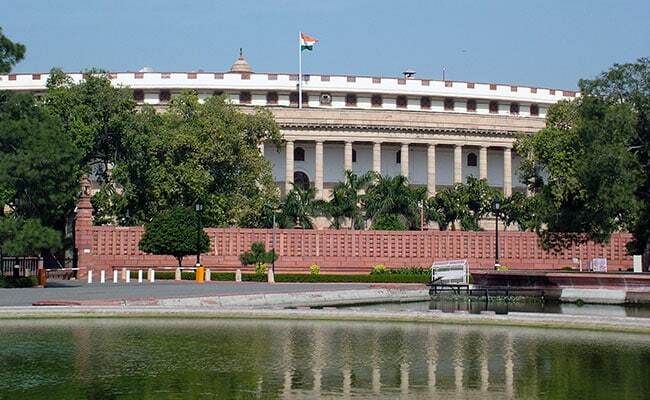 The Appropriation Acts (Repeal) Bill 2015 that seeks to repeal 758 old appropriation acts which have lost relevance and The Repealing and Amending (Third) Bill, 2015 to repeal 295 enactments and to amend certain other enactments were passed by the Rajya Sabha on Wednesday by voice vote. The two bills were earlier passed by Lok Sabha in May last year. Moving the Bills for passage, Law Minister D V Sadananda Gowda said "government has identified 1,741 absolete laws for repealing. This is the fourth bill, as two bills have earlier been passed by Parliament." He said, "As many as 1,159 laws have been repealed so far which have become redundant. This is a record in the history of legislative activity of Parliament." Appropriation Acts are intended to operate for a limited period of time -- authorising expenditures for the duration of one financial year. Though these Acts are not usually included in any list of Central Acts, either by the Law Ministry, or elsewhere, these laws still technically remain in the books. The bill is also in consonance with the recommendations of the Select Committee of Rajya Sabha to have a repeal clause in the Appropriation Acts. The Legislative Department of the Law Ministry had also proposed that the repeal mechanism in vogue in the United Kingdom to systematically repeal Appropriation Acts usually two sessions in arrears may be followed. The Repealing and Amending (Third) Bill, 2015 seeks to repeal 295 Acts and make minor amendments to two laws. The 295 laws that have been listed in the First Schedule of the Bill. This includes over 20 Acts that were passed prior to 1947. Further, around 200 laws are amending Acts, where the changes made by these laws have already been incorporated into the relevant principal Acts.